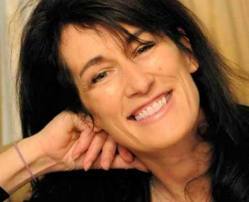 Kate Sekules and The Boxer’s Heart: A Woman Fighting! Kate’s book is a warm, colorful homage to her years training at Gleason’s Gym — and of the women she trained along side beginning in 1992 on through the late 1990’s. Originally published in 2000, Kate has reissued her memoir with a new afterward to coincide with the historical debut of Women’s Boxing at the 2012 Olympics. Kate also made the point that the “book is for men and women about gender roles as much as about the sport.” Still what Kate provides is a treasure trove of details about the sport at a certain time and place — as well as an intimate portrait of Kate and her cohort of boxing friends all working hard to practice the art they love so much. These days, Kate can be found back at Gleason’s Gym once a week — after having worked out at Chelsea Piers for a while doing their “Lunchbox” series which she swears was “amazing, he’s really, really good.” She’s also the owner of Refashioner, a marketplace for pre-owned couture. To purchase Kate’s Book from Amazon.com click on the link! Oh yeah, I remember reading this book years ago when I was first learning about boxing. I found it to be an interesting mix of training manual and autobiography, from what I remember. Maybe what I found most interesting were her thoughts on actually being in the ring and fighting. Agreed! I love this book! 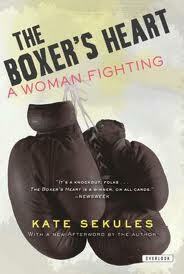 I think this is an amazing book not only about boxing but about how hard women fight to be taken seriously as athletes. This was one of the first books that I read when I wanted to start training and it gave me courage in the boxing gym. I wish that I was in New York so that I could go! Kate will love what you wrote!!! The book truly is inspirational, Kate! I echo the others. This is a great book not just because of the way she chronicles her career and the sport, but simply because it’s well-written. Great writing can take the topic where it might not have been welcomed otherwise. I felt like I knew her by the end–and sure wish we could have met at Gleason’s a month ago when I was there! Kate — I hope your reading the comments!! !